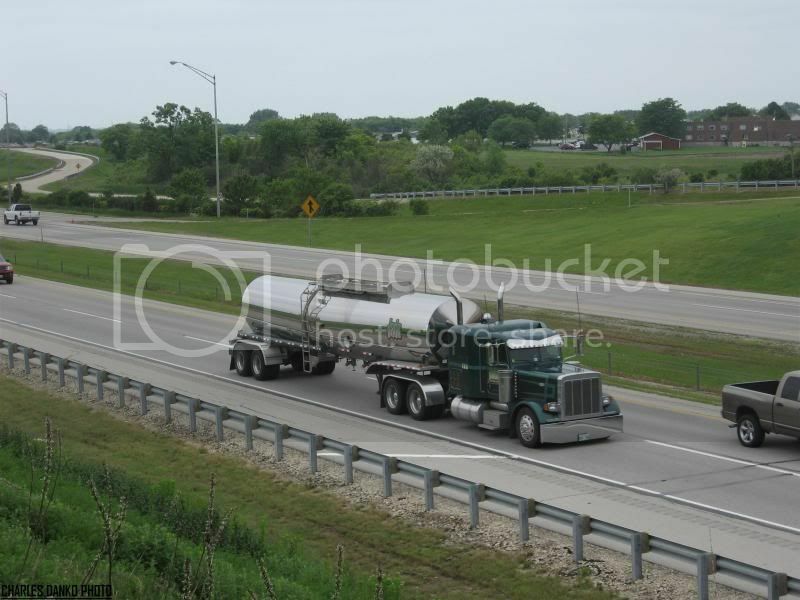 One of my favorite photo spots is the Illinois Toll Road service plazas - the ones that span the highway. 8-) Got to spend about 45 minutes last Tuesday at this one on I-90 just south of the Wisconsin border. Always some interesting trucks to see & constant action to boot. 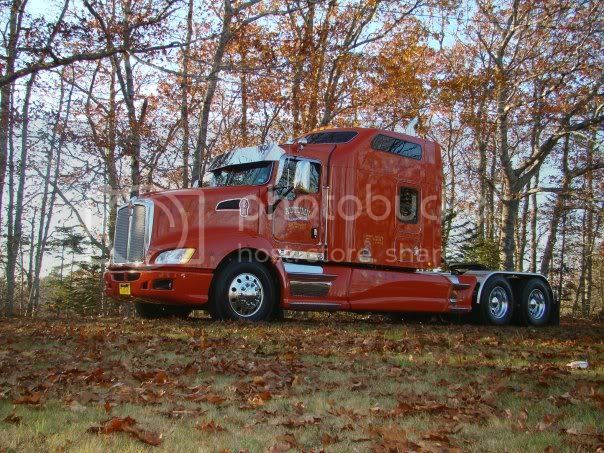 Oversize load Prime Pete 387. Western Star flatbed with a Canadian look to it. Roehl International 9900 with an expandable trailer. Tidewater Transit Volvo from Kinston NC. 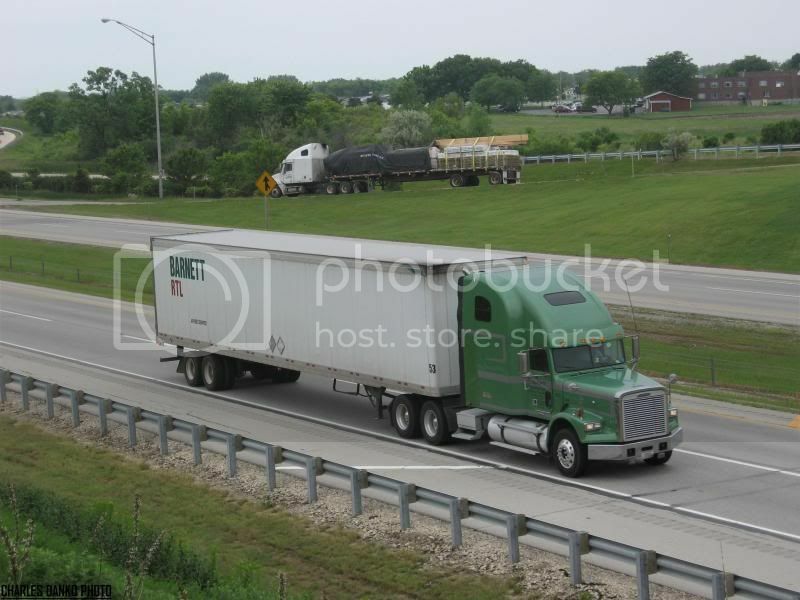 I caught one of those Roehl's, early last year I think, hauling a tall, overlength steel beam, probably for a bridge. Great set of pics Charlie! I think I've taken pictures at this spot myself Charlie. 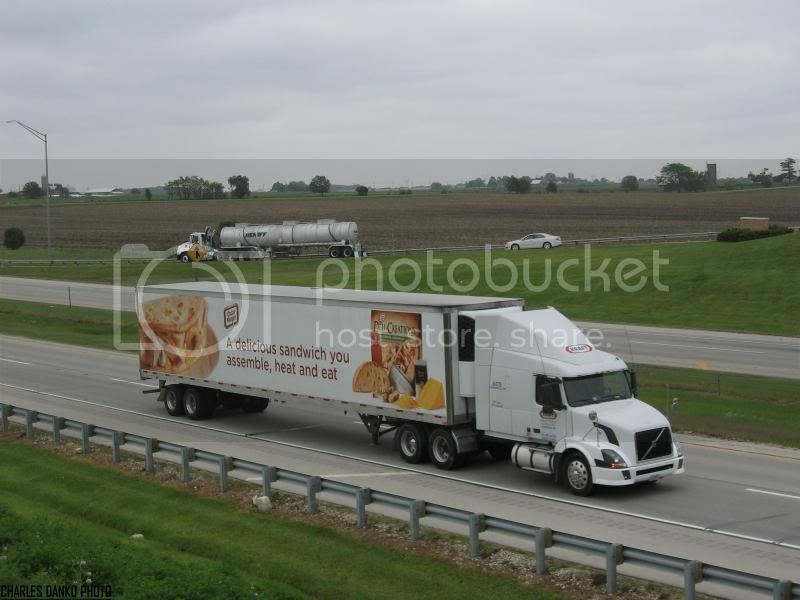 :lol: I was on I-90 at one of those service plazas, eating lunch and taking pictures in the afternoon sun. It was a nice time, especially because truck traffic starts to thin out the further you get into Wisconsin. Really enjoyed the photos, it's good to see they came out good even in the cloudy weather. 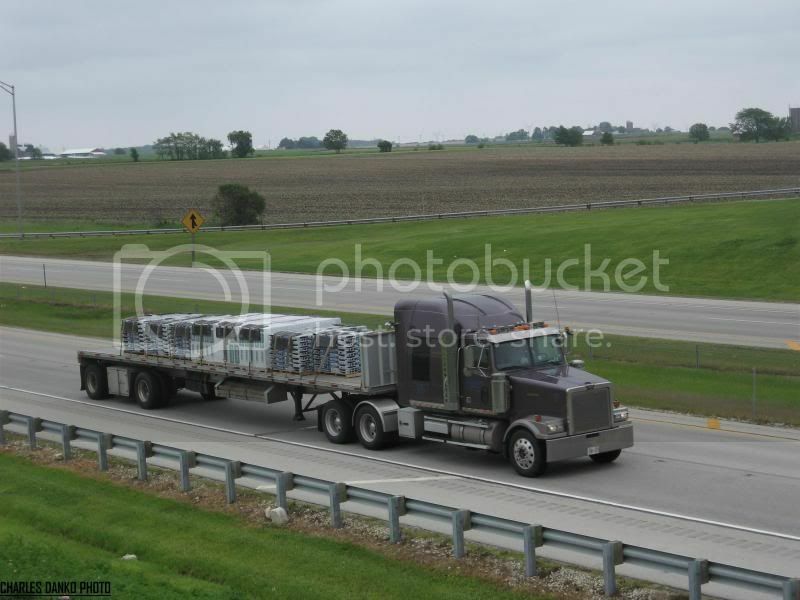 Here's one of the Roehl trucks loaded, near Columbus Ohio in Jan. 07. Roehl seems to have diversified quite a bit - not a bad idea in this economy. Thanks for the photo Paul. Good shot of the Jade Transport. It's the first time i've seen a Pete 379 with the stacks behind the bunk like that. 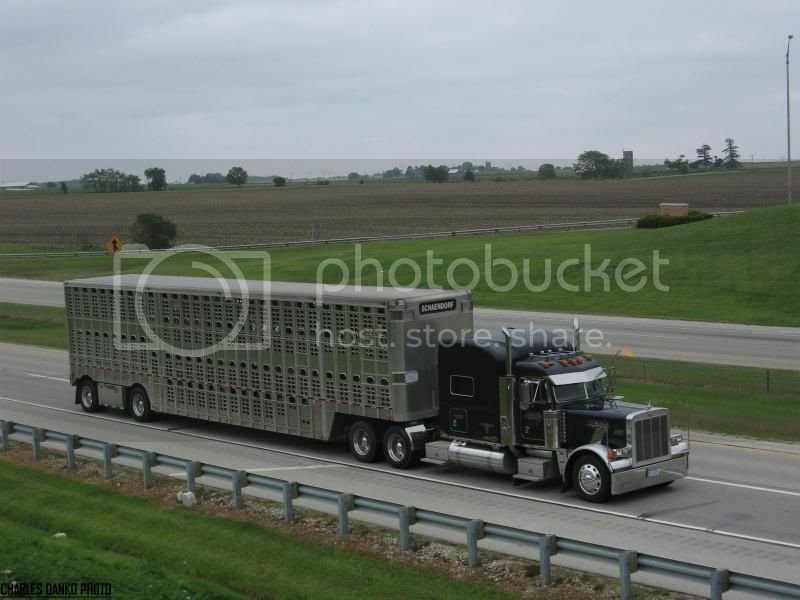 The cattle hauler is a sharp looking outfit also. And what a good location that is. Never photographed there, but its neat looking down on the interstate. GG Barnett is based out of Juneau, WI. 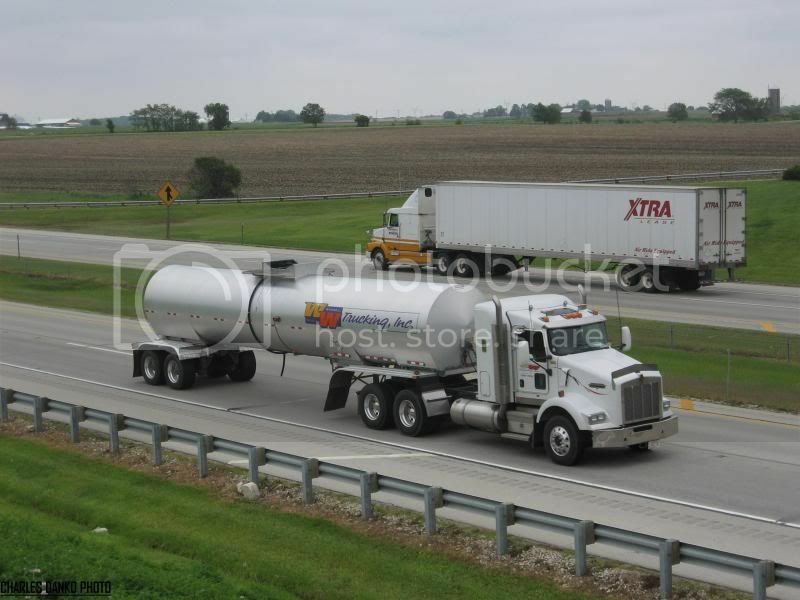 They have a wide assortment of trucks ranging from these to Columbias to Kenworth T600 and T800. They do alot of work for the Blain's Farm and Fleet DC in Janesville. Just saw this truck the other day. Not sure if its an O/O or company ride. Based out of Darien, WI near the big Geneva Cold Storage / Birds Eye plant. They have light green colored Columbia's. Both daycab and sleepers. 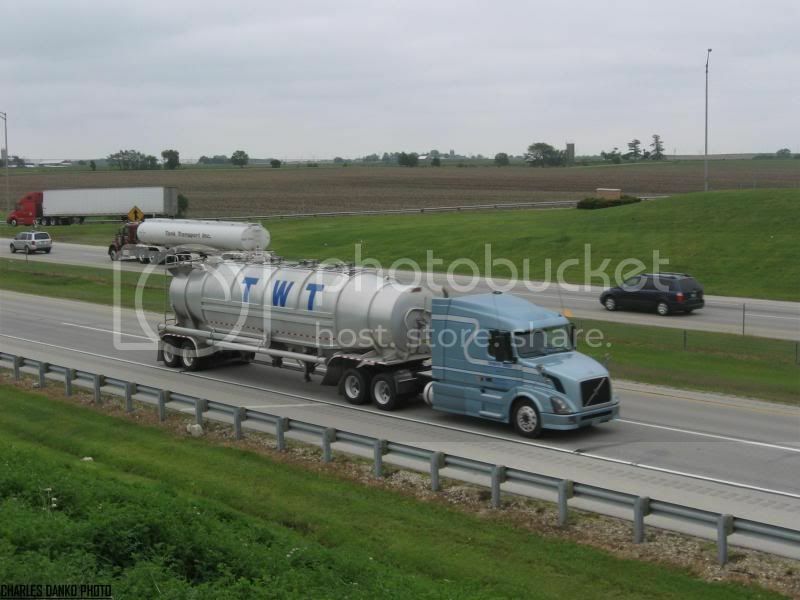 Pull alot of liquid asphault tankers, along with end dumps and conveyor belt trailers. 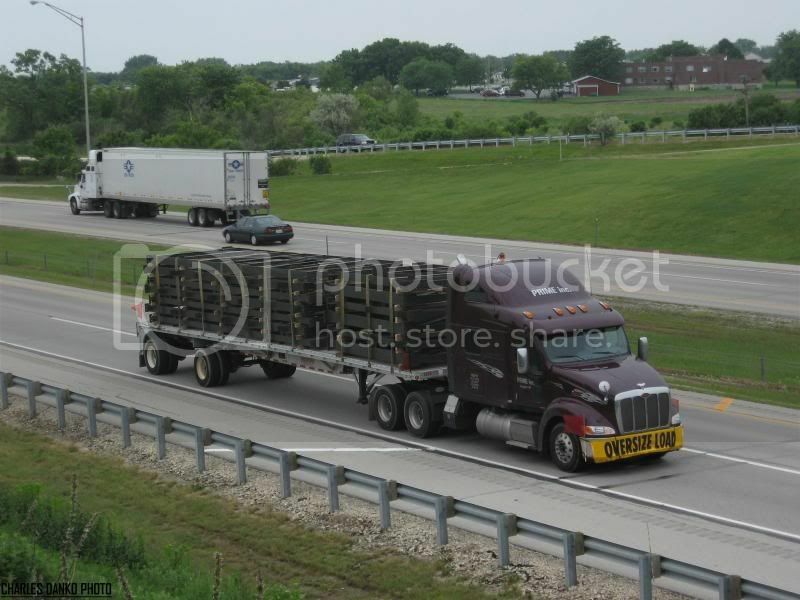 See them hauling trash into the landfill in Janesville along with aggregate out by the nearby pits. I wasn't able to get a pic of the WW green Columbias with the end dumps although they seemed to be all over the place. Ran with one for quite a while last week on the PA Pike until he exited around Harrisburg - maybe i'll catch one yet back east. Hey Jon_G, check out this Tidewater Transit Circa 2009! Neat ROEHL operation here Charlie. I don't know if I've ever seen a 9900 for this company, and I'm sure I've never seen them hauling a trailer (can hauling?) like this before. 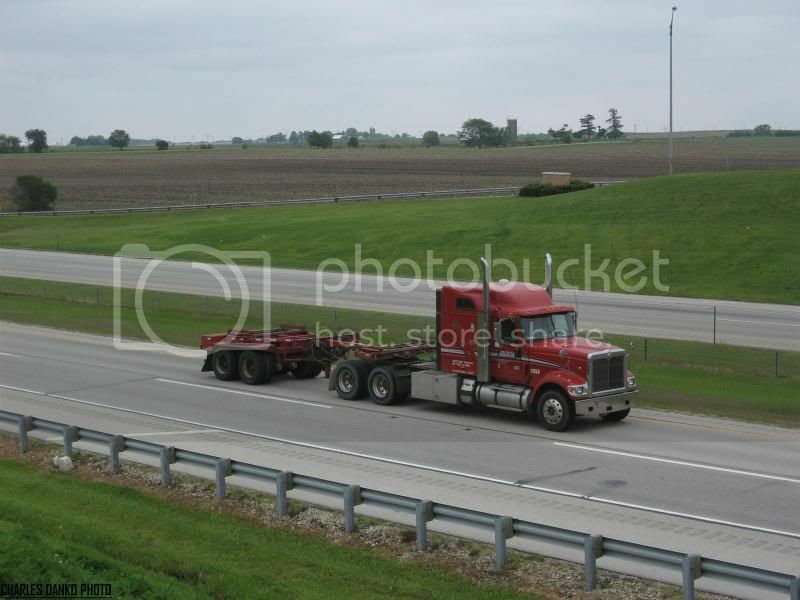 Prime Flatbeds are rare enough, even 387s more so. Like that you got this one in 2009.